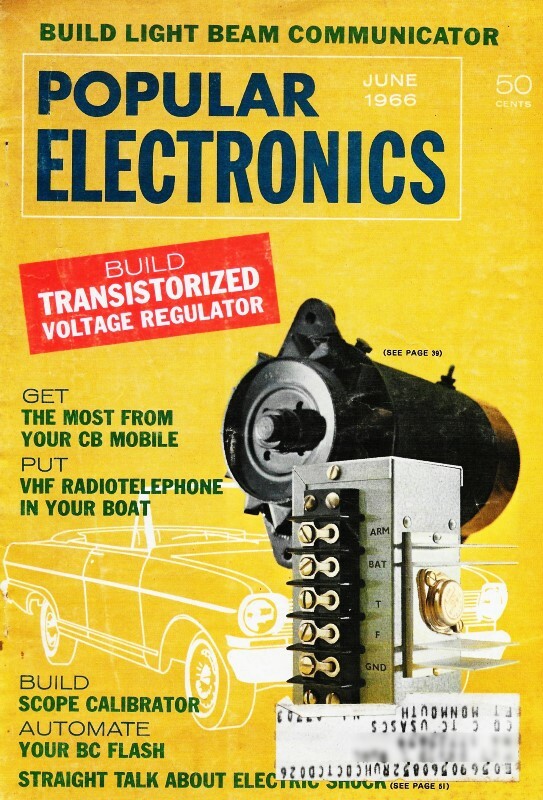 Here is the 46th quiz I have posted from 1960s and 1970s issues of Electronics World and Popular Electronics magazines. Most of were created by Robert P. Balin. I like to save them for Friday afternoons. Guys like me who cut our teeth on analog meters read these indications like a second language. Even novices usually do a good job on the meter needles, but reading a mechanical micrometer (#9) might be more of a challenge, especially if you have never used one before. The same goes for a dial caliper. Can you read the dials on a mechanical gas or electric meter, where some spin CW and others spin CCW? Electronic technician's, hobbyists, and experimenters are constantly required to make measurements using test instruments with a variety of dial calibrations. 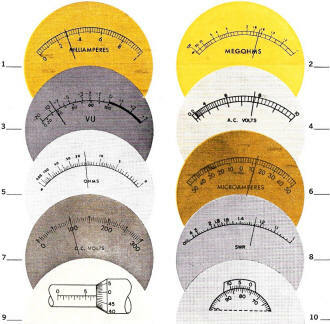 For in addition to the voltmeter, ammeter, ohmmeter, wattmeter, vu meter, etc., there are other instruments which, though seldom used by the average hobbyist, are of equal importance to the technician or experimenter. The micrometer is one of these. (1) Locate the zero index. (2) Examine the scale to determine if it is linear or not. (3) Determine the value of each major division and its subdivisions. (4) Try to be as accurate as possible when approximating position of pointer or index within a scale division. Now, see how accurately you can read the following meter scales, to the nearest tenths or hundredths. 9) 6.984 mm. The smallest division on the sleeve (stationary part) of this metric micrometer is 0.5 mm. ; therefore, the reading is 6.500 mm., plus the reading of the thimble (rotating part). The smallest division on the thimble is 0.01 mm., giving a reading of 0.484 mm. for a total of 6.984 mm. 10) 76.7 Reading from the zero index mark on the vernier (stationary tab), the indication is between 76 and 77 on the dial. Observe that the seventh division mark on the vernier is the only mark that coincides precisely with a dial scale division mark. This indication adds 0.7, for a reading of 76.7.